The Yocan NYX is an advanced cartridge for waxy essential oils that comes equipped with a pure glass quartz heating element for the cleanest quality of vapor possible. This cartridge's structure is constructed from pure Stainless Steel materials, leaving you with an extremely durable and long lasting atomizer that will look and perform like new for plenty of time to come. 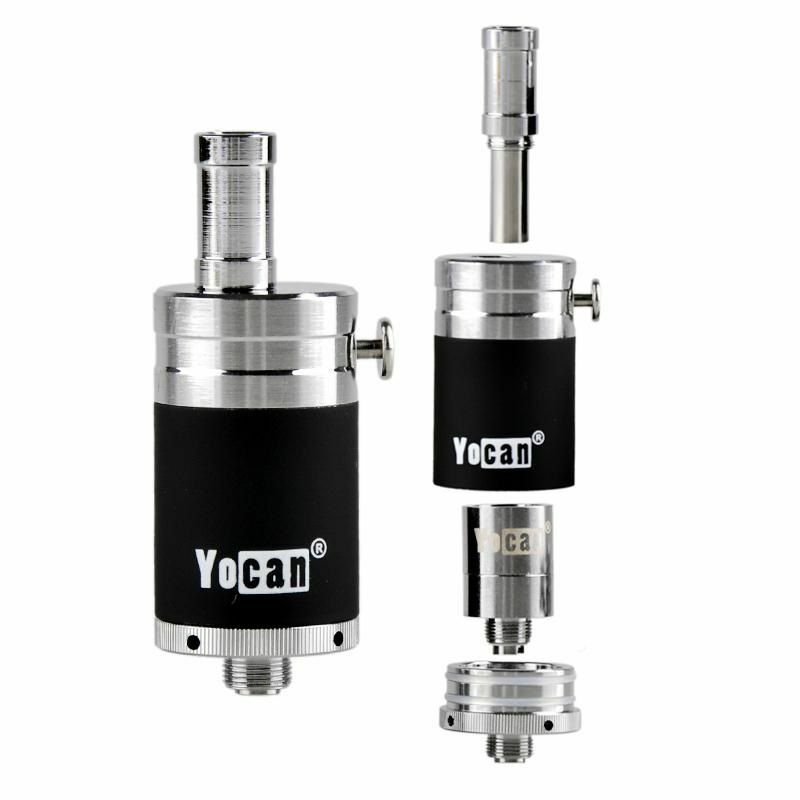 Yocan's NYX Wax Atomizer utilizes their cutting-edge Quartz Dual Coil atomizer heads to prevent the burnt taste that often comes with fiber or ceramic wicks. These coils feature a dual coil construction to create an atomizer that is capable of quickly vaping through large quantities of material with just a simple touch of a button. 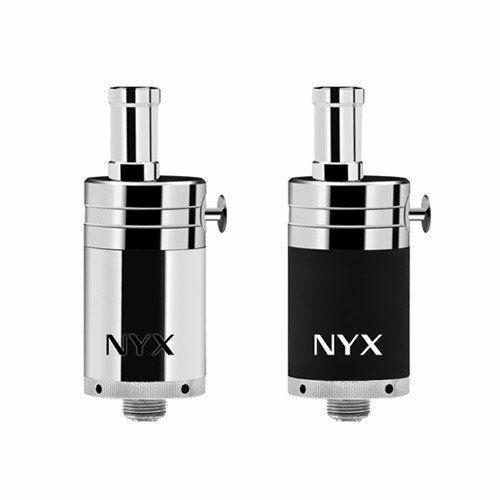 Each of the NYX dual coil quartz atomizers can be paired with Yocan's innovative coil cap that removes the possibility of any thin oils leaking out during the vape process, ensuring you are getting the absolute most out of your material. For best results it is recommended you use your NYX Wax Cartridge within the range of 15-25W, any higher could potentially damage the coil. 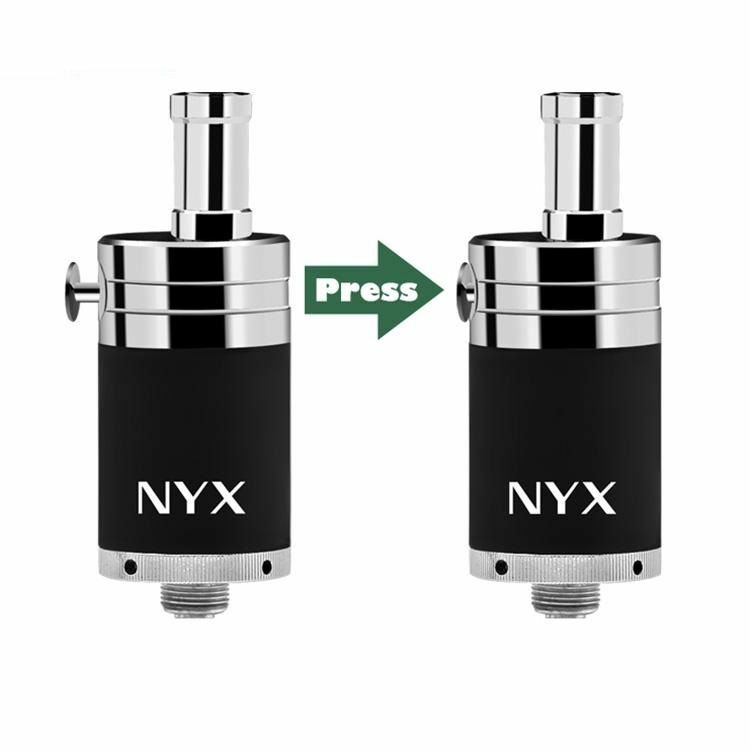 Yocan's NYX Wax Cartridge also features a user-friendly no thread design that allows you to open and reassemble the device in just a moment's notice without having to deal with sticky, hard to find threads. 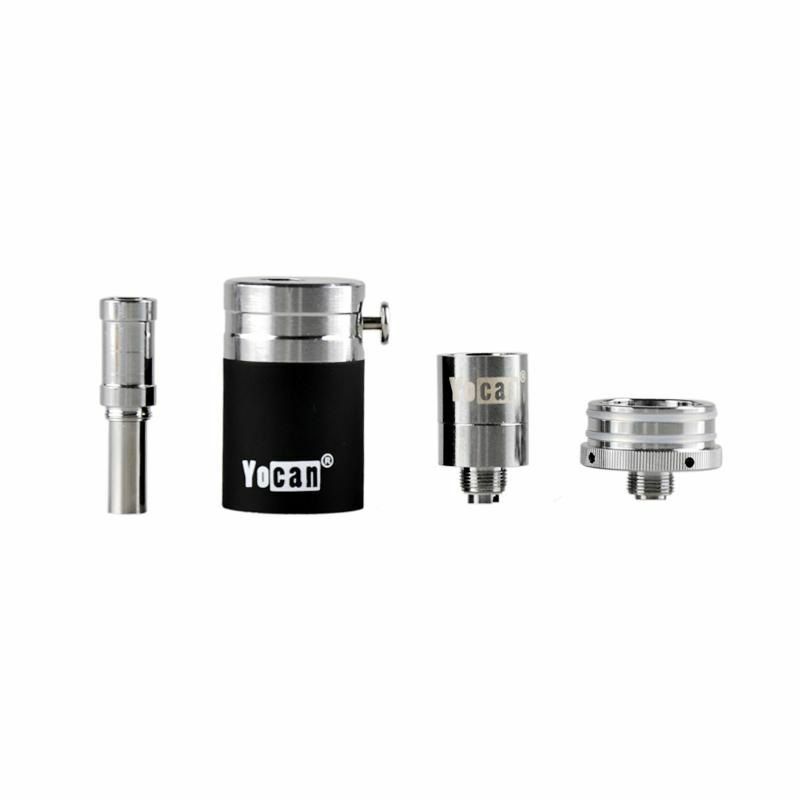 A one of a kind carb system grants you full control over the amount of air passing through the device while vaping. Begin firing the device to fill the chamber with vapor, once enough has collected press down the spring-loaded airflow button and begin inhaling to quickly clear the chamber.